This modern looking case has LED standard lighting, lift up top glass and a hinged evaporator for ease of cleaning. 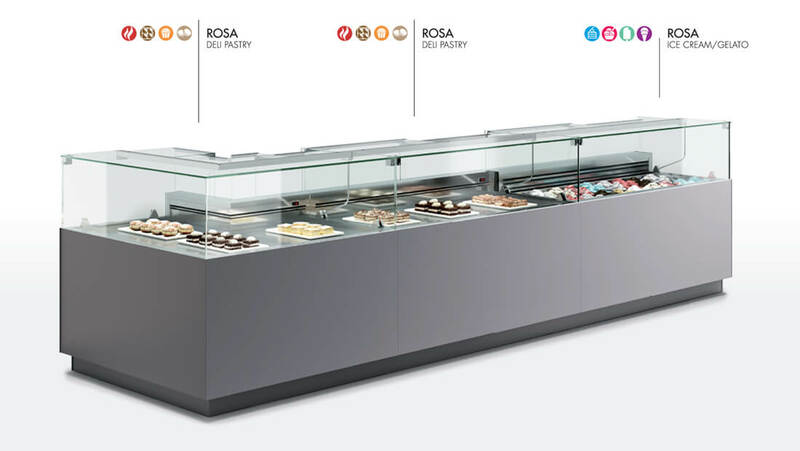 Available in Pastry, Deli and Gelato Ice Cream configurations and can line up to a Self Serve Grab N Go. The front décor can be finished on site to fit any ambience or you may choose any Oscartek™ pre-finish.